Pin us to your jacket, your hat, your backpack, your whatever! Quantity discounts available for pins. 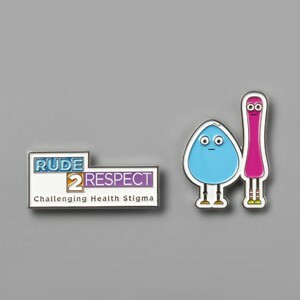 Please contact stigma@rude2respect.org.